The Evergreen State College is committed to providing a layoff procedure for non-represented classified staff which ensures that layoff is administered without disruption to employees, the business function of the College is minimized, and that is consistent with provisions of WAC 357-46. This layoff procedure covers and applies to all non-represented classified staff of The Evergreen State College who are not covered by a collective bargaining agreement. This procedure supersedes all prior layoff/reduction-in-force procedures for non-represented classified staff of The Evergreen State College. Nothing in this layoff procedure shall be construed to negate the rights of The Evergreen State College to transfer, promote, demote, dismiss or separate any employee of any employment status in any manner permissible under the civil service rules. The following definitions will apply throughout this layoff procedure. Non-Represented classified Staff: Non-represented staff are individuals that are not included within a recognized bargaining unit at the College. Reporting Vice President: Is the person who has been delegated the authority by the President to make decisions related to the employment of a particular employee. Position Requirements: Position requirements are the competencies (i.e., knowledge, skills and abilities) and other position requirements identified in the position description, recruitment announcement or other sources. Position requirements may also include a bona fide occupational qualification (BFOQ) approved by Washington Human Rights Commission, license/registration/certification requirements, class specifications, and additional documented competencies or requirements not reflected in the position description. Employment Retention Rating (ERR): The employee’s employment retention rating is determined using seniority as calculated in WAC 357-46-050 and WAC 357-46-053. The Evergreen State College has designated a single layoff unit for all non-represented classified positions. Human Resource Services will compute the Employment Retention Rating, using seniority, for non-represented classified staff. The seniority date is defined as the employee’s total length of current unbroken Washington state service (which will include any applicable Veteran’s Preference as determined by WAC 357-46-060), minus all time spent in leave without pay status. Employees on military leave as provided in WAC 357-31-370 will not have their seniority date adjusted for the time spent on military leave without pay. Veteran’s preference will be granted by adding the eligible veteran’s total active military service, not to exceed five (5) years, to his/her unbroken service date in accordance with WAC 357-46-060. Ties in seniority will be broken by measuring employee’s longest continuous time within their current job classification; if a tie still exists, by longest continuous time with The Evergreen State College; and if a tie still exists, by lot. Furloughing an employee for a maximum of thirty (30) calendar days in a calendar year. If there is less than twenty (20) hours per week of work for an employee to perform during a temporary layoff, the President or the reporting Vice President, in consultation with the Associate Vice President for Human Resource Services or designee, will provide written notice to the employee that they are being furloughed and will be offered the opportunity to work the available hours as a temporary appointment. Use of his/her accrued vacation leave for hours the employee is not scheduled to work if the temporary layoff was due to lack of funds. In accordance with WAC 357-46-068, at the conclusion of the temporary layoff, the employee has the right to resume the position held immediately prior to being temporarily laid off. The employee will return with the same status and percentage of appointment held prior to the layoff. When a position is subject to permanent layoff, the President or the reporting Vice President, in consultation with the Associate Vice President for Human Resource Services or designee, shall give permanent employees at least fifteen (15) calendar days’ written notice, unless the employer and employee agree, in writing, to waive the fifteen (15) day notice period. Probationary employees being separated due to layoff shall receive at least one (1) calendar day written notice. If the layoff notice is personally delivered, the date of delivery will constitute the first day of notice. If the layoff notification is mailed to the employee, the mailing date will constitute the first day of notice. The employee shall respond to Human Resource Services, in writing, within five (5) calendar days of the date of the layoff notice regarding whether the employee accepts or rejects the layoff option. If the employee fails to respond within the prescribed five (5) working days time limit, such failure shall automatically be regarded as a rejection of the option(s) offered in lieu of layoff. Appeal rights in accordance with WAC 356-52. When there are no layoff options or when an option is rejected, permanent employees may be separated after fifteen (15) calendar days' notice in writing from the President or the reporting Vice President. (a) The position is allocated to the class in which the employee holds permanent status at the time of the layoff. If no option to a position in the current class is available, the employee’s option is to a position in a class in which the employee has held permanent status that is at the same salary range. If the employee has no option to take a position at the same salary range, the employee must be given an opportunity to take a position in a lower class within an occupational category/class series in which the employee has held permanent status, in descending salary order. The employee does not have to have held permanent status in the lower class, just within the occupation category/class series, in order to be offered the option to take a position in the class. (b) The position is comparable to the employee’s current position. (c) The employee satisfies the competencies and other position requirements. The college may require updated information from the employee regarding their current competencies. (d) The position is funded and vacant, or if no vacant funded position is available, the position is occupied by the employee with the lowest employment retention rating. (c) The position is one for which the employee meets the competencies and other position requirements. The college may require updated information from the employee regarding their current competencies. If more than one qualifying position is available, the position with the highest salary range maximum is the one that must be offered. 3. If a permanent employee has no option available under section (1) and (2) above, the employee will be offered up to three (3) comparable funded vacant positions within the college, provided the employees satisfies the competencies and other position requirements of the position(s) and the positions offered are at the same or lower salary range as the position from which the employee is currently being laid off. If there are no comparable vacant positions, the employee will be offered less than comparable funded vacant positions. The college will determine if the employee satisfies the competencies and other position requirements for the position. The college may require updated information from the employee regarding his or her current competencies. Non-represented classified staff have the right to appeal a layoff as specifically addressed in WAC 357-52. 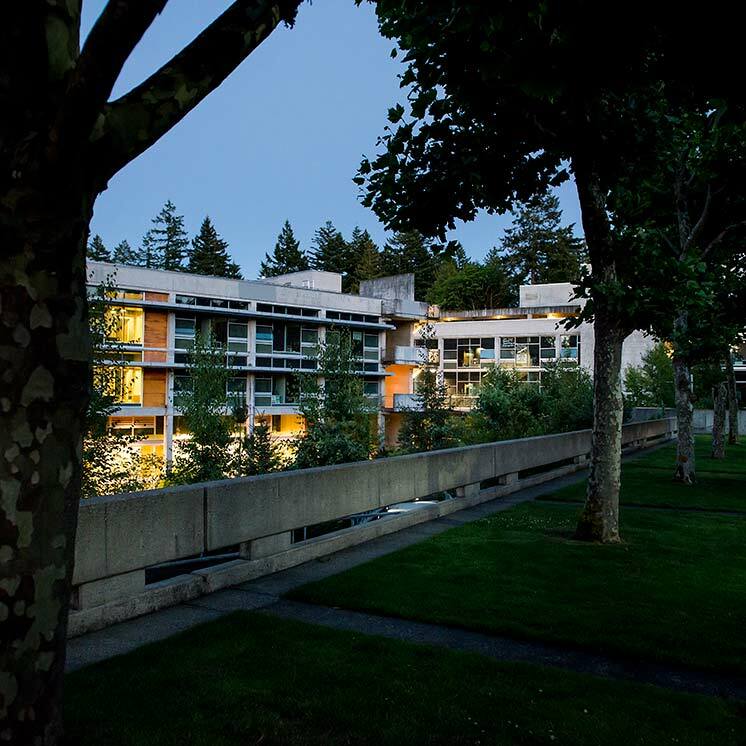 The Evergreen State College will provide employees who are subject to layoff with information about the process for being placed on internal and statewide layoff lists. Certification from the internal layoff list is based on the employee retention rating and the most senior person on the internal layoff list with the required skills and abilities will be appointed to the position. The internal layoff list shall be maintained and administered by Human Resource Services. Individuals may request a review for removal of their name from the internal or statewide layoff list. The review will be conducted by a representative of the college that is not involved in the action under review.